ReadersMagnet opens its calendar year with a bang! 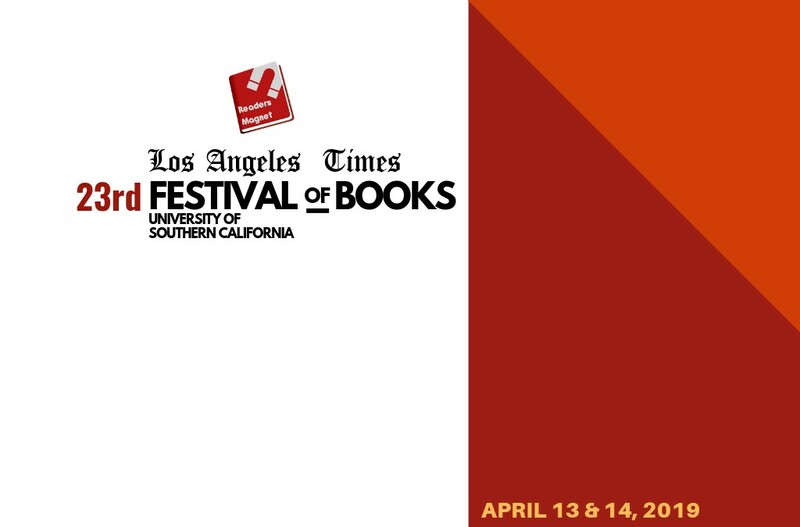 Fresh from last year’s string of book fair success, ReadersMagnet is starting 2019 with one of the most important events in the literary world - the LA Times Festival of Books. For the first time, self-publishing company ReadersMagnet will participate in the largest book fair in the United States. Late last year, ReadersMagnet already signed in as one of the exhibitors in the upcoming 23rd Los Angeles Festival of Books which will be held this April 13-14 at the University of Southern California, University Park Campus. For three consecutive years, ReadersMagnet has been consistent with sharing stories with the world through its participation in both national and international book fairs. Through its partnership with the Combined Book Exhibit (CBE), ReadersMagnet successfully exposed its authors in the international stage. Last year, it has made a major breakthrough by signing in with the Miami Book Fair International as an exhibitor for the first time and successfully setting up two booths as well as a three-day book signing event for its authors. This year, ReadersMagnet expects to add another milestone to its name by bringing its authors and their titles to the 23rd Los Angeles Festival of Books. This two-day weekend book fair is expected to gather 150,000 participants which include authors, publishers, literary agents, people from the academe, celebrities, media, and book lovers from all across the country. ReadersMagnet is excited to present its authors during the two-day book signing event. Walter Madenford (Going Against the Tide-Prophetically), “Rose B” (The Gift of Sobriety: A Spiritual Transformation), Clarence Vold (Farmer’s Son Military Career), and Ingrin Kern (Triumph) to name a few, will grace our booth at the Festival.